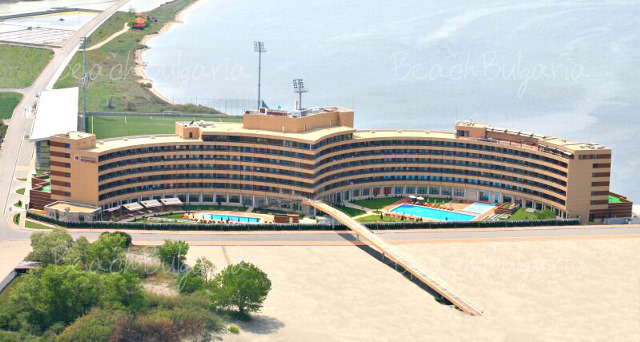 Grand Hotel Pomorie received another prestigious award – a golden prize for “The best Grand Hotel in Bulgaria”. The award was granted by the chief editor of “Tourism and otdih” magazine, Mr. Dimitar Keremedchiev on an official awarding ceremony, part of the International tourism exhibition Vacation and Spa, that took place on 25 – 27 February 2010 in the National Palace of Culture. Thus Grand hotel Pomorie strengthened its leader positions for the development of the balneology, spa and wellness tourism in national and international scales. Grand Hotel Pomorie is a hit on the market for innovative products. It is the first eco hotel, protecting the cause “Lets save the nature.” The first dip in the Green Eco garden of the complex was made on 26 February 2010. 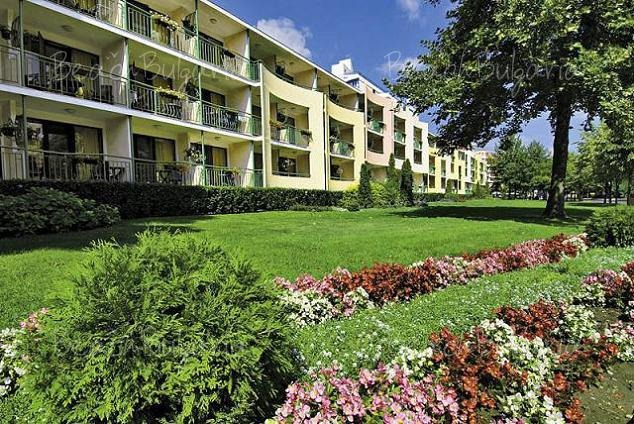 Famous people, companies and guests of the hotel will plant trees in the garden. 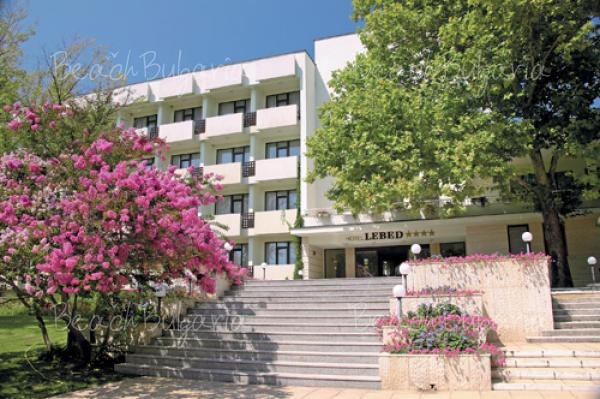 Grand hotel Pomorie and an initiator of the idea for corporate and social responsibility will create the first International institute for lye and mud therapies. Please, post a comment on Grand Hotel Pomorie received a golden prize. 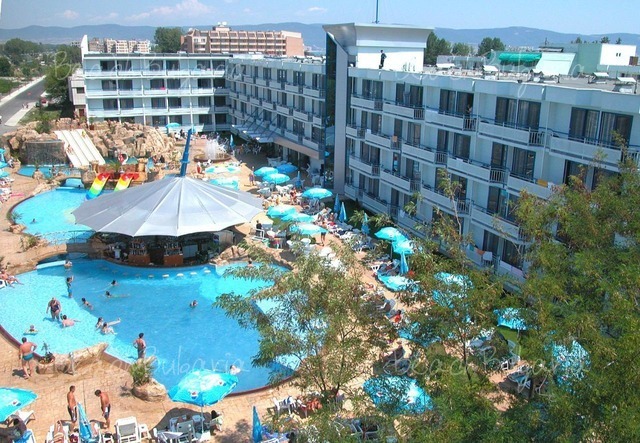 Early booking Kotva Hotel Sunny Beach - 20% discount until 31 January 2019; 10% discount until 31 May 2019.